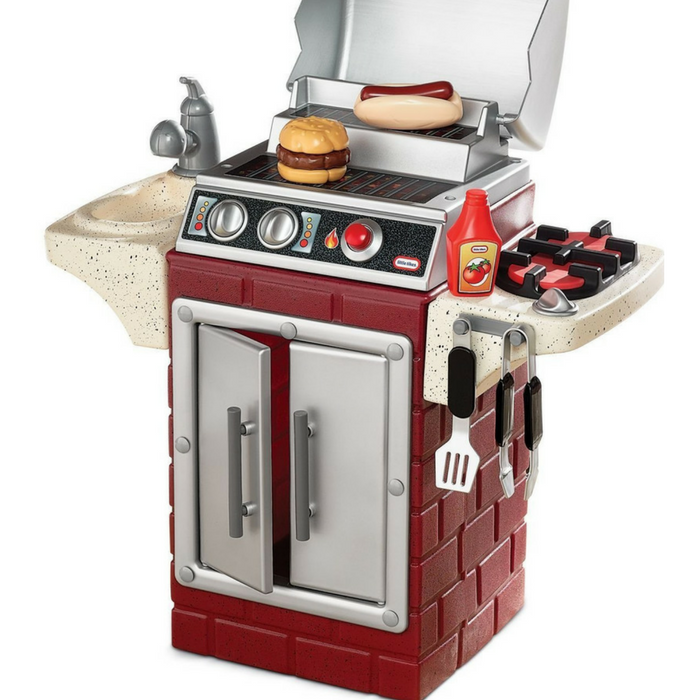 Little Tikes Barbeque Grill Just $30.99! Down From $70! PLUS FREE Shipping! You are here: Home / Great Deals / Amazon Deals / Little Tikes Barbeque Grill Just $30.99! Down From $70! PLUS FREE Shipping! Head over to Amazon to score this Little Tikes Barbeque Grill Playset for just $30.99 down from $69.99 PLUS FREE shipping! Anytime is grillin’ time with this gas grill barbecue set. You can grill indoors or take the set outside and grill just like Mom ‘n’ Dad. Just like a real gas grill with dual grill, lid sink and side burner. Everything fits inside grill cupboards for easy storage. Starter button and clicking knobs. 8-piece playset. Includes towel bar.